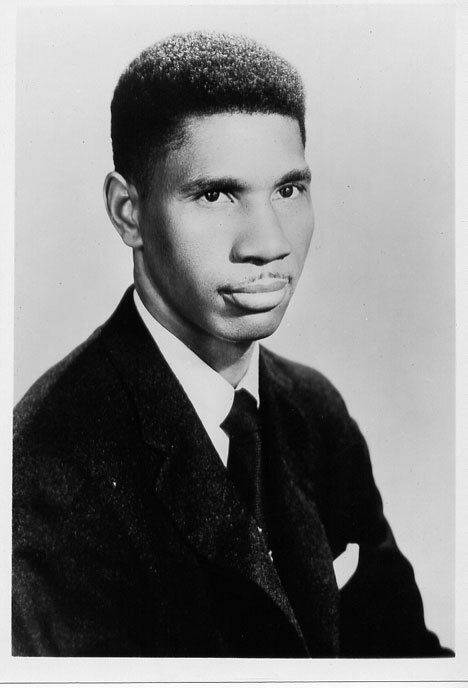 This is one of the most famous pictures of Medgar Evers, slain civil rights activist. This photograph appeared with his obituary, in magazines, reunion brochures, and NAACP fliers. Born in 1925, Evers began organizing as a college student after being denied the right to register to vote. Evers was assassinated in 1963.